Iwatsuki Onigawara has been handcrafting traditional Japanese onigawara for over 100 years. The onigawara is a roof ornamentation that can be found on temples, shrines, and castles in Kyoto, Nara, Tokyo, and all throughout Japan. The onigawara design shows a reverence for nature and embodies the wishes of a vulnerable people in clay form, which is then fired at a searing 1110 degrees Celsius. The color is a matte silver that is known as ibushi-gin in Japanese and is created by obstructing the airflow of the kiln after firing to cause incomplete combustion, which in turn coats the surface of the onigawara with carbon. 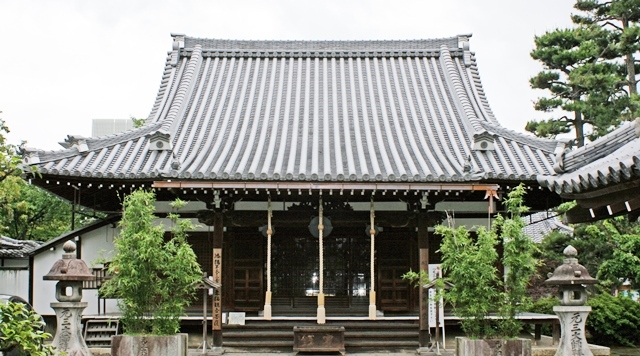 At Iwatsuki Onigawara, our mission is to share the onigawara as a representation of Japan's elegant scenery, the beauty of ibushi-gin, and Japan's culture of roof architecture and ornamentation with the world. We hope that you will make our versatile selection of onigawara products a part of your surroundings and life. Company Name : IWATSUKI ONIGAWARA,Inc. Copyright © IWATSUKIONIGAWARA,Inc. All rights reserved.